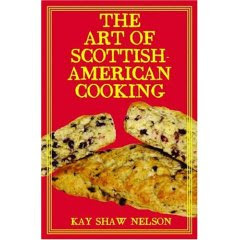 Although this cookbook doesn’t contain any pictures, you will have a little Scottish grandmother in your mind before getting to page 10. Comfort foods that have fed many generations can now make their way onto your table. And although you might not know what Rumbledthumps are (essentially potatoes, cabbage and cheese), it might be just the thing that changes the way you cook and eat. A lot of the recipes here are full of hearty ingredients like oats, potatoes, meats and seafood and in a world where light and diet ingredients have taken over our lives, it’s kind of fun to think about heavier, heartier dishes. I had a great great grandmother who was Scottish but she died well before I was born. I am hoping that by embracing some of Scotland’s traditional dishes, I can carry on the family tradition. And plus, how much fun will it be at my next dinner party to announce that the next course will be Rumbledthumps? Okay, so when the author has a name like Mad Coyote Joe, you know you’re in for a good time. I love a cookbook writer with a sense of humour. And doesn’t that make you feel more at ease tackling tamales for the first time? This festive, colourful book is filled with the basic ingredients and terms so if you’re a novice at making Huevos con Machaca (Eggs with Dried Beef) or Caldo de Mariscos (Seafood Soup), not to worry. 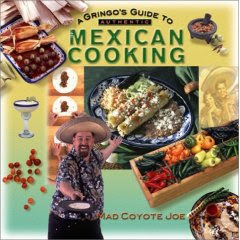 Mad Coyote Joe wrote easy-to-follow instructions and before you know it, you’ll be rolling your r’s and pronouncing the Veracruz Red Snapper like an expert. It’s Huachango a la Veracruzano, by the way.